Ferries from the ferry port of Singapore HarbourFront, sails to and from Batam port in Indonesia with WaveMaster, Batam Fast Ferry and Majestic Fast Ferries. Below, you can see a complete list of departures to all destinations and a taster of our best prices. 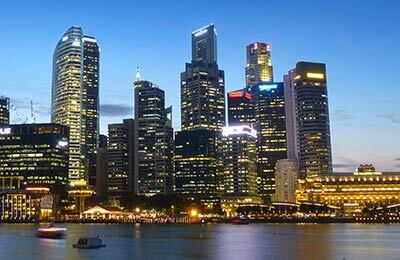 WaveMaster offers modern ferries to and from Singapore HarbourFrony to Batam in Indonesia. On board you can relax either inside or outside, with seating available for passengers for the duration of the ferry crossing. 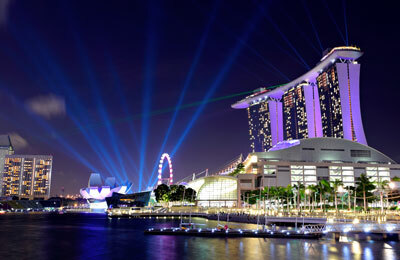 Singapore HarbourFront is a very modern and sophisticated port. There is plenty to do there whilst you wait for your ferry, including shopping and relaxing at a cafe or restaurant. It is also right by VivoCity, which is the country's biggest shopping centre! Getting to Singapore HarbourFront is easy. A number of buses go by the port, including the number 10, 30, 65, 80,93, 97, 100, 131, 143, 145, 166, 188 and 855. You can also reach it by rail, simply take a North-East line and exit at HarbourFront station. Or if you would rather avoid public transport, you can always get book a taxi or go to one of many taxi bays found in the area.